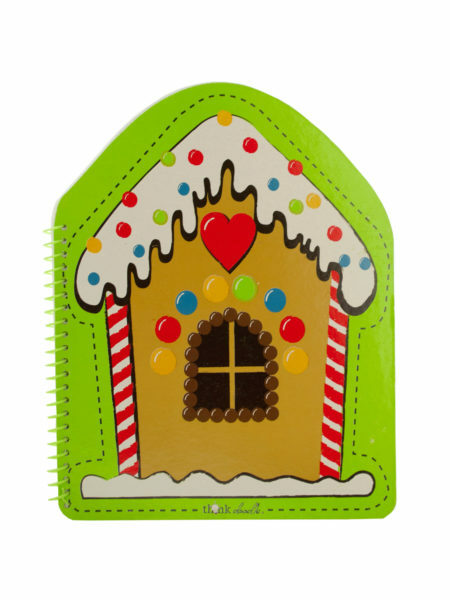 Perfect for notes and doodles, this Gingerbread House Spiral Notebook features a hardcover notebook with a plastic spiral binding and plain white pages. Notebook contains 48 sheets. Measures approximately 8.75" x 11". Comes loose.